I noticed words like charisms and discovering your gifts, scattered throughout the brochure and thought ‘Hmm . . . I’d like to discover my gifts and learn what a charism is’ so I gave her the okay to sign me up. Within the first few minutes of the workshop I learned that charisms are graces of the Holy Spirit which directly or indirectly benefit the Church (CCC 799). Additionally, there are at least twenty-four charisms such as knowledge, writing, healing, hospitality, and evangelization and when practicing a charism, one generally feels energized or satisfied. For example, my roommate with the charism of evangelization felt energized and excited by the fact that I accepted her invitation to this workshop. So why am I telling you about this workshop, you ask? Well, in today’s Gospel, Jesus tells His Apostles to share the good news and mentions that casting out demons, speaking in new tongues, picking up snakes, or laying hands on the sick might be ways for them to do this. Flash forward 2000 years, and we are still called to be apostles in our everyday lives. While we might not be picking up snakes or speaking in tongues as the apostles did, we might be called to provide hospitality by baking desserts for a funeral. Or we might be called to share the gift of knowledge by serving as a small group leader for Confirmation formation. 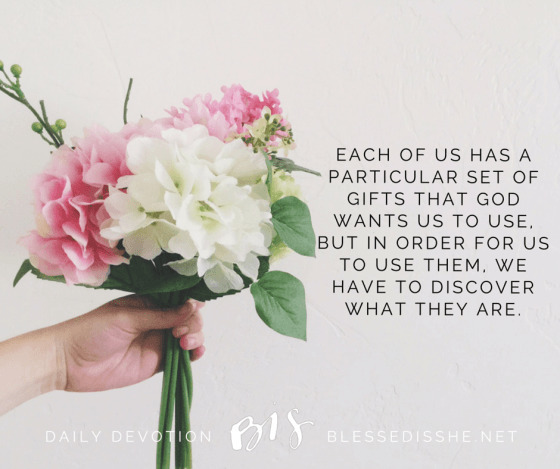 Each of us has a particular set of gifts that God wants us to use, but in order for us to use them, we have to discover what they are. So my challenge to you is to discover your gifts. Pay attention to what it is that makes you feel the most excited about your faith and keep doing it! If you feel like your spouse or a loved one has a particular gift, let them know as they might be afraid to share it with others. Joan Nagel is a North Dakota native, and in her spare time she can be found preparing for her July wedding, working as a Registered Dietitian, and drinking coffee. You can find out more about her here.